"In their hands, the music pulses, breathes and comes alive with a mix of tradition and contemporary influences." Singer/songwriter Alsarah was born in Khartoum, the capital city of Sudan. As a Brooklyn-based ethnomusicologist, she is used to fusing the sounds and styles of disparate cultures. 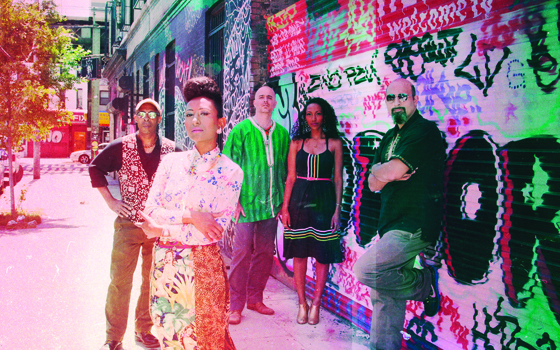 As the leader of The Nubatones—percussionist Rami El-Aasser, bassist Mawuena Kodjovi, oud (stringed instrument) player Brandon Terzic, and background vocalist Nahid—she performs lavish, joyful East African retro-pop, full of Arabic-language reflections on identity and survival. This performance at Wesleyan will be the Connecticut debut of the band.